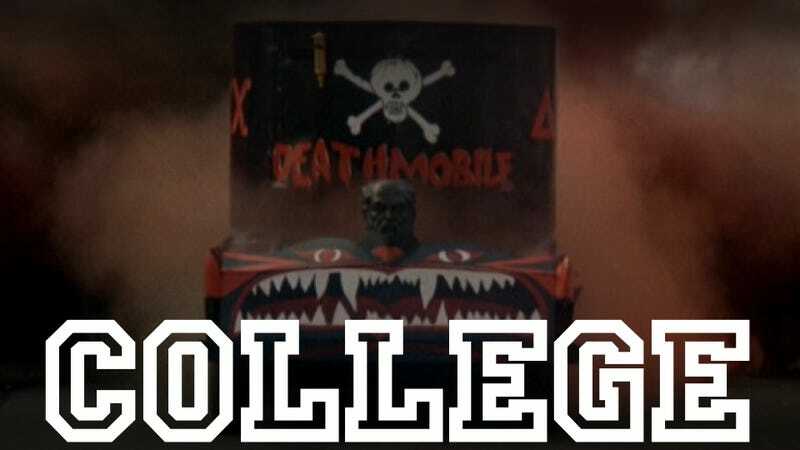 What’s the best college car? Why It's Cool: Depending on where you go to school, a pickup truck, no matter how small, may stick out like a sore thumb. But if you're somewhere that's pickup-friendly (or just don't care) then a smaller truck like a Ranger is probably the best way to go. You don't need something huge to tow a massive trailer or carry bales of hay. Really, all the average college kid needs is something to get their stuff from home to the dorms, and then a keg-and-pizza-delivery vehicle. Why It's Cool: Like so many things purchased at Ikea or Bed Bath & Beyond for a kid's stay at college, the expected lifespan is not very long. If those drawers last more than three or four semesters in the dorm, then they've already exceeded expectations. Similarly, if the 1995 SL you bought on Craigslist before leaving home lasts all four years of school, it's done well. Keep throwing oil in the thing and watch for check engine lights, and cross your fingers. Get something better when you move out. Why It's Cool: I've heard of these "bros" who wear backwards caps and popped collars, though they don't exist at my school. I have also heard that they like driving Wranglers. So, if you're a bro (or a member of a sorority) and you like to party, may I suggest a one? You can probably fit a keg in the back and a new selection of Hollister tees in the front if you pack well. Why It's Cool: Clearly, this car's secret as a great college car has already gotten out. Amongst certain crowds, you can get no cooler than when you're behind the wheel of a tricked-out Golf. You can also fit many things in them, thanks to their hatchback shape. They're small, fuel efficient, and unless you win check engine light bingo (though really, there are no winners in check engine light bingo), you'll probably be pretty happy with it. Why It's Cool: There's no doubt that in the 1990's, the Chrysler Corporation was at the very top of their minivan game. They were innovators, class leaders, and were turning out good product. And if you're a soccer mom on a budget, a used one is a solid choice. If you're a college kid who doesn't mind being called "Mom" and made fun of at nearly every turn, they're a good call also. There's no doubting the practicality or "party-on-wheels" nature of one, but there are going to be jokes. Lots of jokes. So if you can't take the heat, get out of the Grand Caravan. Why It's Cool: If you're going to have to be stuck in a Focus while you're at school, then make it enjoyable and make it an SVT. The added convenience of the five-door hatch shape means you can get your stuff out of your dorm and back home to Mom and Dad's house quicker. The SVT has a little more character than the average Civic or Cavalier, and with 170 horsepower (up from 130 in the regular Focus) it's more fun to be around. Why It's Cool: Whether it's a decommissioned cop car or one bought with very low miles off of someone who was at college during the Truman administration, the Crown Vic is a nearly perfect college car. It's downright massive, so there's loads of space for everything you own, friends, beer, pizza, more friends, girls, and more beer, all at the same time. And, as an added bonus, you can have the most fun messing with everyone every time you pull up to a party. Pick up an old police hat at a thrift store and you're all set. The Party Police have arrived. Why It's Cool: What's cooler than a giant, early-90's American made wagon with fake wood paneling down the side and a 5.7-liter LT1 up front? Not much. The Roadmaster wagons are just plain cool. And like pretty much every other car on today's list, they're roomy, pretty much bulletproof, spacious, fun to get sideways a little, and roomy and spacious. Did I mention that you can fit a lot of things in them, too? Why It's Cool: Of course, what other car could take the top spot but a 240 wagon? The 240 is one of our favorite cars here and answers the question so perfectly. You can move entire apartments in this thing, when it breaks down it's usually capable of being fixed by someone with limited repair skills, and they're fun at low speeds. And if you have to sleep in a car, it's one of the most comfortable. It's a Volvo brick, for crying out loud!